The Galaxy S was the flagship Samsung Android smartphone, on sale well into 2011. So, Samsung’s smartphones, which are supposed to be an open platform, do not get OS upgrades. 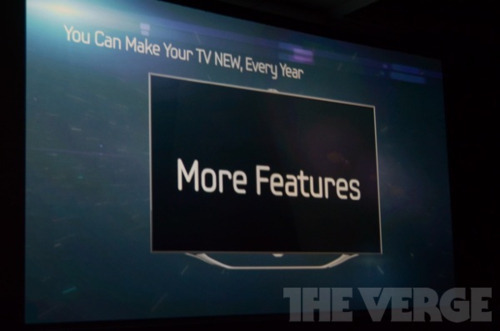 The TVs, which are conventionally thought of as ‘dumb’, get new features pushed out. Guess which product lines runs a platform that Samsung controls, and which runs someone else’s platform?